The European Youth Chess Championship 2016 is set to take place from 17-28th August at the Top Hotel Praha in Prague, the capital of Czech Republic. The Championship is organized by AVE-KONTAKT Pardubice agency, Czech Chess Federation and the European Chess Union. The tournament is played in 6 age categories: U8, U10, U12, U14, U16 and U18, Boys and Girls separately, as a 9-rounds Swiss system, with the time control 90 minutes for the first 40 moves followed by 30 minutes for the rest of the game with an addition of 30 seconds per move starting from move one. The total amount of all prizes and presents will be 20,000 EUR at the minimum. The first three players in each group will be awarded medals; the first five players in each group will be awarded cups, diplomas and valuable prizes. 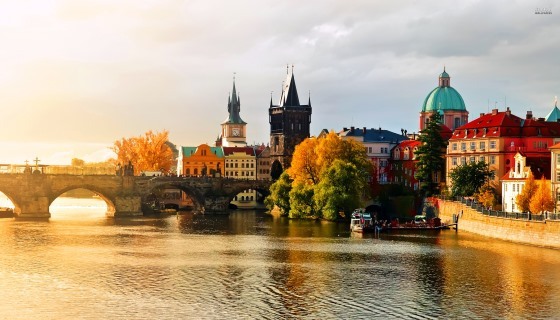 The European Youth Championship is the biggest ECU event in terms of participation, and this year Prague will welcome 1316 young talented players from 49 European federations. The opening ceremony of the event will take place on 17 August on the parking lot next to the hotel at 7:30 pm. The first round is scheduled for 18 August at 3:00 pm (local time). The organizers prepared a rich programme for the participants on the free day (Tuesday 23 August), such as Rapid and Blitz tournaments, visit to Troja Zoo, Karlstejn castle, Cestlice Aquapalace, and Prague sightseeing. During the Championship, FIDE Trainers’ and FIDE Arbiters’ seminars will take place, for all interested parties.